Keep you Kart running in tip top shape with Red Line Kart Oils. Designed for two-cycle kart engines which are operated in excess of 12,000 RPMs. Better production of power and bearing protection than castor bean oils and incredibly clean.Allows many engines to be operated at approximately 25ºF greater cylinder head temperature. For four cycle engines incl. Briggs & Stratton, Honda etc. Improves power & performance through dramatic reduction in friction and wear. Provides excellent high temperature lubrication. Compatible with both gasoline & alcohol fuels. 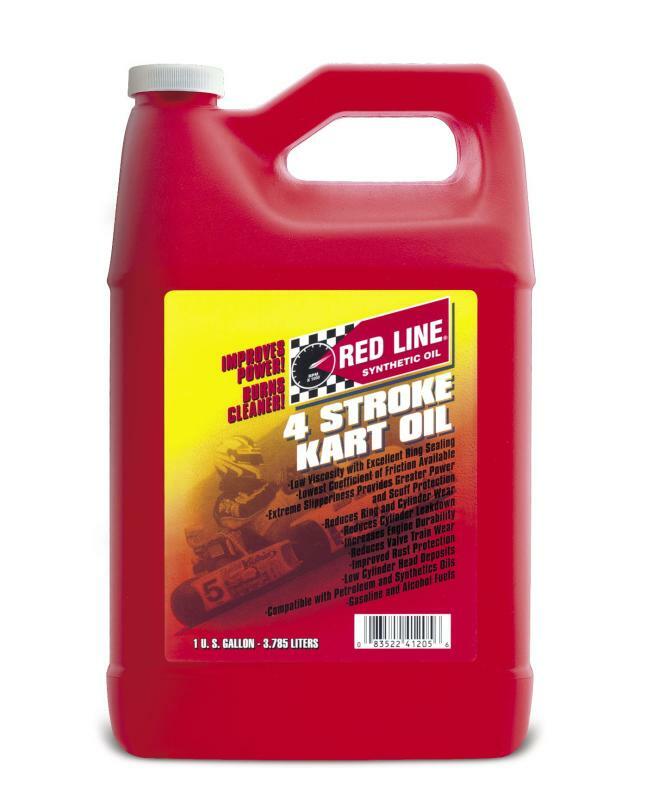 Red Line Kart Clutch Oil is used by karting champions to control heat build up and unwanted slippage throughout races with consistent viscosity. This 10wt fluid is compatible with all popular wet karting clutches for sprint, oval, and cadet competition including Horstman and L&T. Proven to last longer and allow for less frequent changes than other oils.